Another WWE couple is officially married. 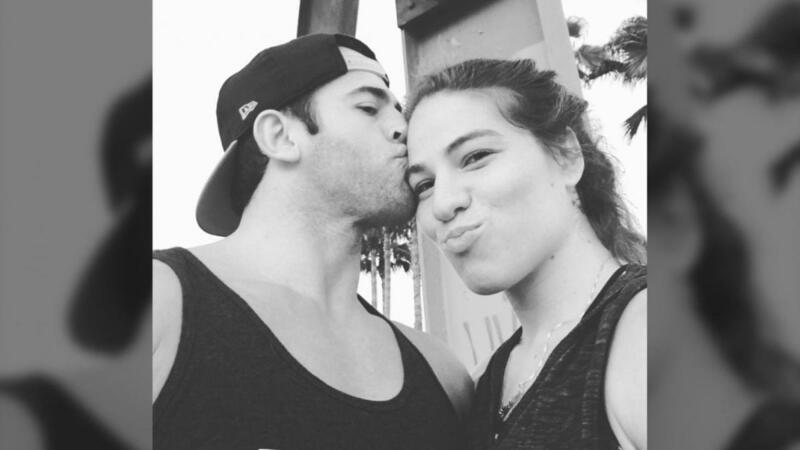 NXT's Roderick Strong and Marina Shafir had their wedding on Wednesday of this week. They had been engaged since December 2015 and welcomed their first child (Troy Veniamin Lindsey) in April 2017. Dave Meltzer noted in the most recent edition of the Wrestling Observer Newsletter that Ronda Rousey, Shafir's fellow Four Horsewomen of MMA member, traveled back to the United States after Raw to attend the wedding. Joining Rousey and Shayna Baszler in the company, Shafir and Jessamyn Duke reported to the Performance Center this May after signing with WWE. Shafir made her in-ring debut at an NXT house show in July, and Duke debuted in August. Shafir and Duke got involved in Baszler's match against Kairi Sane at WWE Evolution and helped Baszler win the NXT Women's Championship. Baszler will defend her title against Sane in a two-out-of-three falls match at NXT TakeOver: WarGames on November 17. Strong and the rest of the Undisputed Era (Adam Cole, Kyle O'Reilly & Bobby Fish) will face Ricochet, War Raiders & Pete Dunne in a WarGames match at the event.